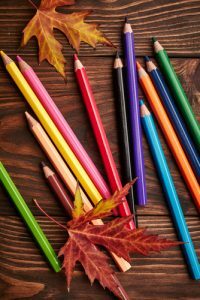 These Fall Craft Activities Will Bring the Colors of the Season Into Your Home! Autumn is the most beautiful season in our region, and with it comes a great deal of inspiration. 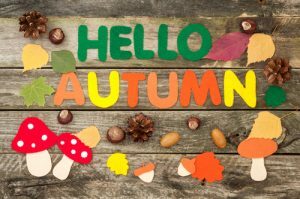 Whether your kids love painting, pasting, or playing assistant to you in arts and craft activities, they’ll enjoy seeing fall’s gorgeous colors displayed at home! This craft will let the autumn light in, while showcasing the beautiful colors and shapes of the season. It’s a bit of a challenge for young kids, so they may need an adult to take the lead, but the results are breathtaking. Try this fall art window painting craft this year, and liven up your windows! Let your child’s own hand and arm create the trunk of this tree, and paint its leaves in autumnal yellows, oranges, and reds. This easy and quick task will make for cute and seasonally appropriate refrigerator décor, and you can save it as a keepsake, as it will show just how little your child’s hand was this fall! This fall pumpkin is super easy for little fingers to manage, and makes great use of leftover pumpkin seeds from this autumn’s jack-o’-lantern making. Simply draw a pumpkin on a sheet of paper, let your kids paint the seeds, and allow them to “color” the pumpkin with the painted seeds! This is a simple crafting task that allows your kids to explore nature, choosing their favorite of the season’s fallen leaves and bringing them home to make negative leaf impressions. Spraying watercolor paint is fun and simple, and will make for a beautiful piece of art! Create a beautiful mask out of fall leaves with items you probably have laying around the house. Ask your kids to think about what colors they would like in their masks, and take them outside to collect their favorites. This mask will be a great addition to any capes, tutus, and costumes they might like to dress up in! Do you get crafty this time of year? What are some of your family’s favorite arts and crafts? Let us know in the comments section!